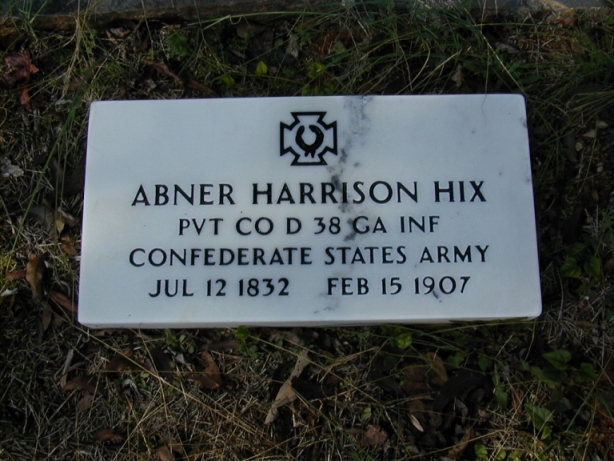 Honoring and remembering Private Abner Harrison Hix, of Company D, The McCullough Rifles, from DeKalb County, Georgia. Enlisted as a Private 9/26/1861. Transferred from Co. A, 4/1/1862 to Company D. Wounded in the battle of Fredericksburg, Va. 12/13/1862. Surrendered at Appomattox Court House, Va. 4/9/1865. (Born in Georgia 7/12/1832.) 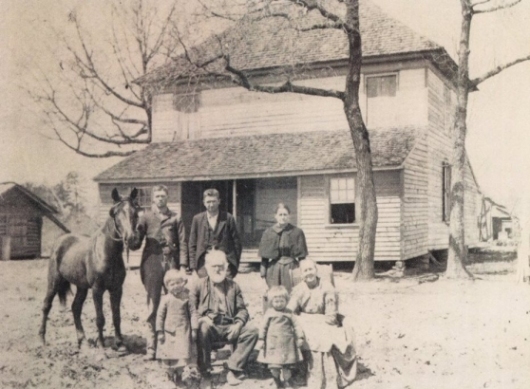 Filed a CSA pension application in Madison Co., Georgia in 1900. Died 2/15/1907 in Madison Co. Georgia, Buried at Old Hix Family Cemetery, Commerce, Jackson Co., Georgia.